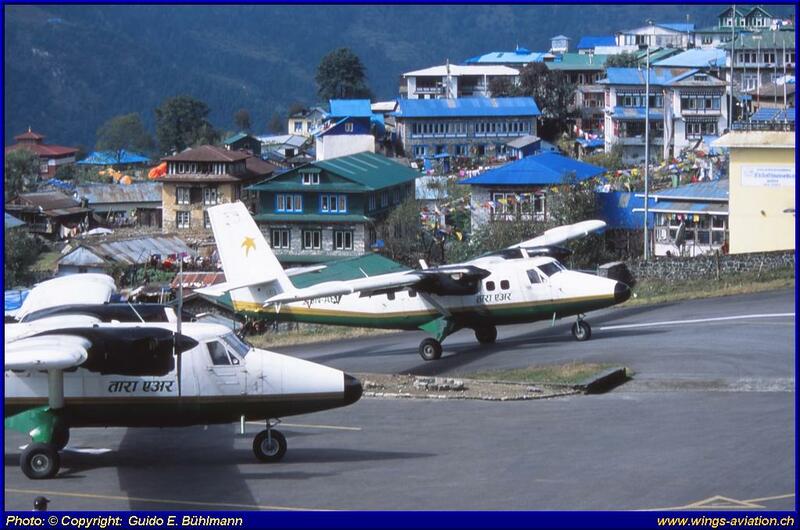 Not unfounded is the small airport of Lukla (Nepal), at the foot of the mighty Mount Everest, perhaps the most dangerous airport in the world! 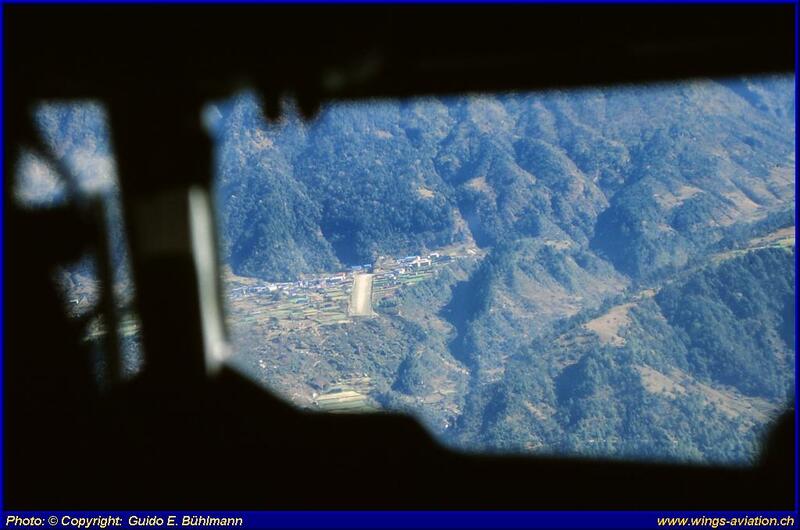 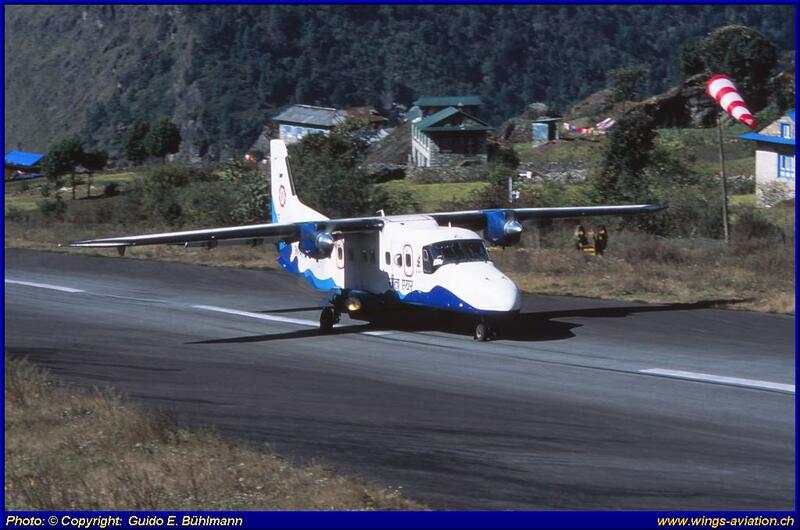 Only a few specially trained pilots dare even to approach at Lukla. 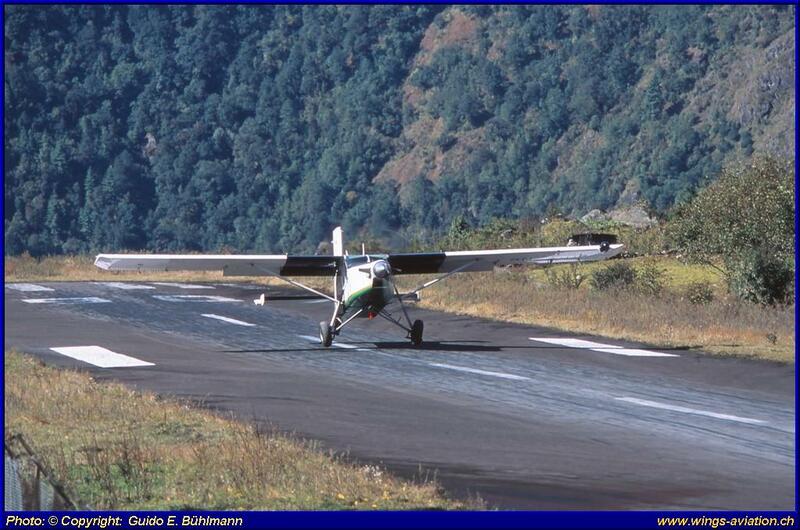 Touch and go: Impossible! 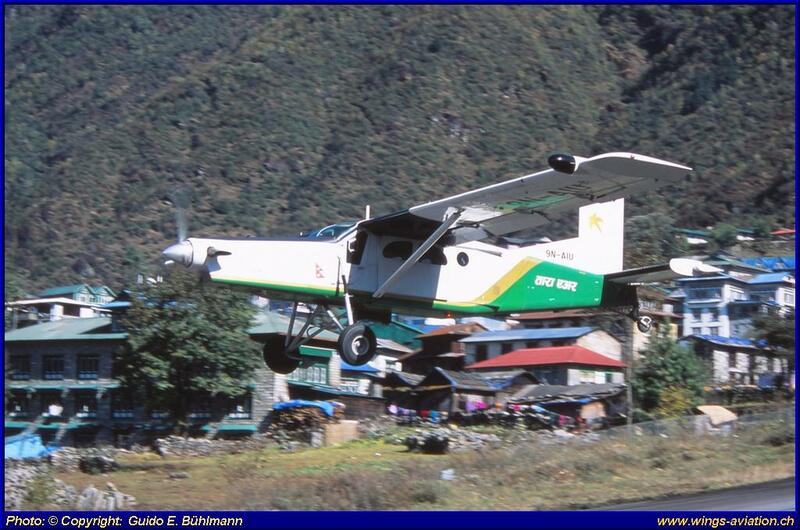 Weather changes, fog suddenly emerging and dangerous crosswinds are probably the smallest warping challenges to the pilot. 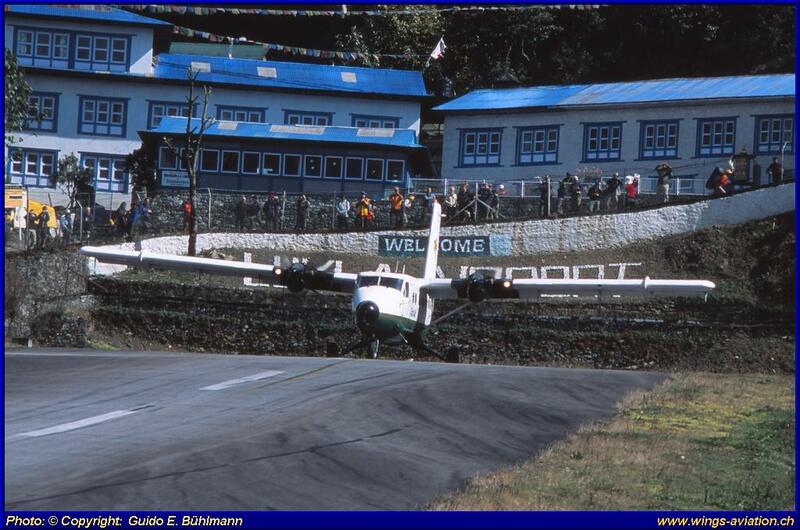 The actual landing but resembles that of a landing on an aircraft carrier! 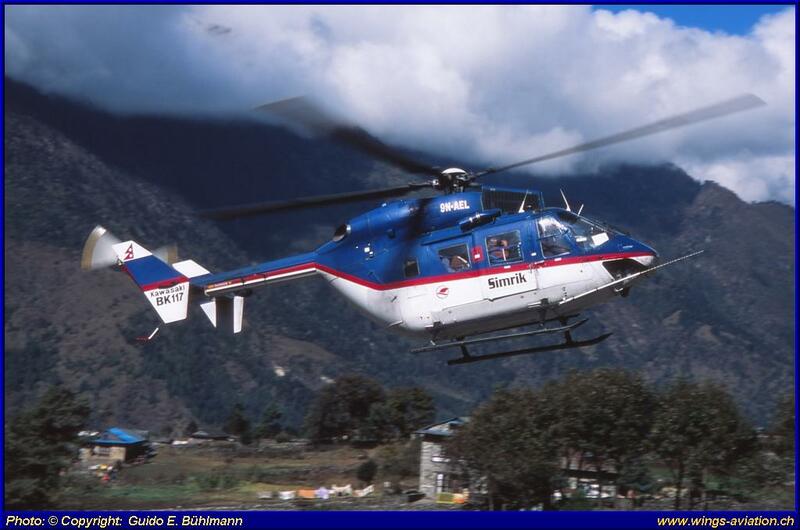 Our chief photographer, Guido E. Buehlmann visited Lukla in November 2011 for his third time (1998, 2007) and the bad weather had some surprises for him too! 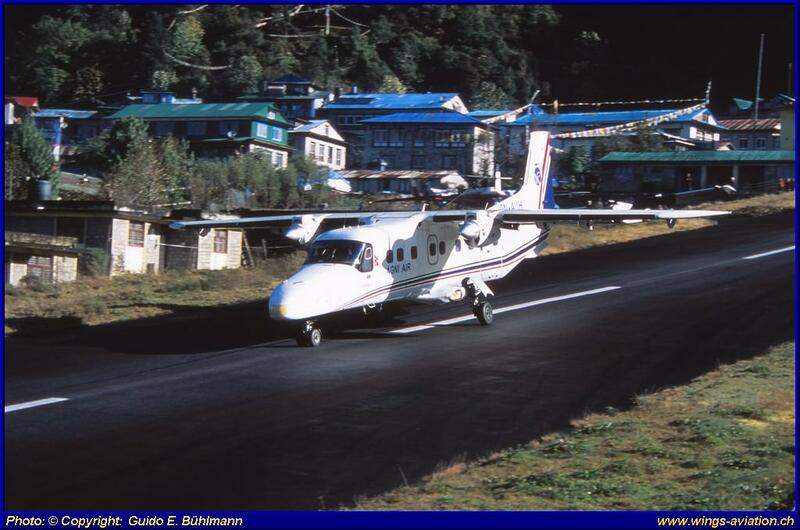 Here is his breathtaking report for WINGS AVIATION. 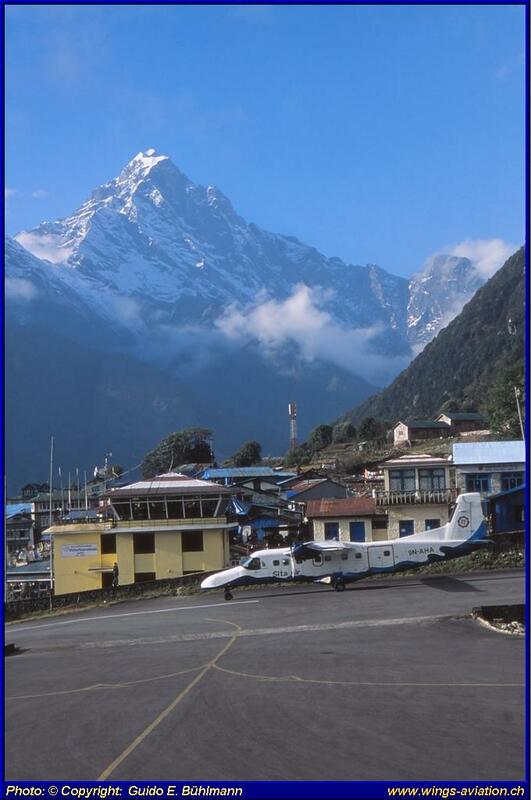 Lukla lies at 2'866 meters above sea level and is regarded as the most important origin and destination of many Himalayan expeditions. 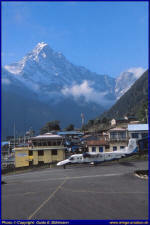 The season, normally, will end by late November every year. 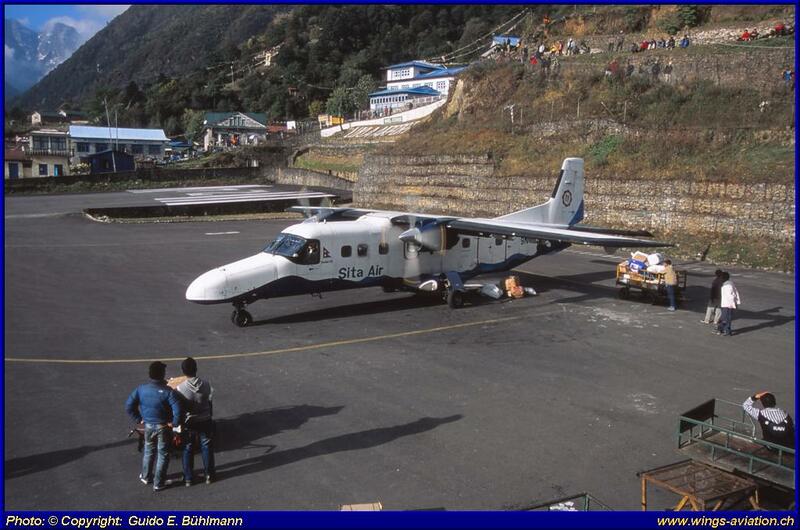 Lukla was formerly made with some sheepfolds, and as Sir Edmund Hillary and his Sherpa Tensing on 29th May 1953 for the first time the climb Mount Everest (8'847 m), emerged in the following years, the first modest accommodation for climbers who participated in Mount Everest expeditions. 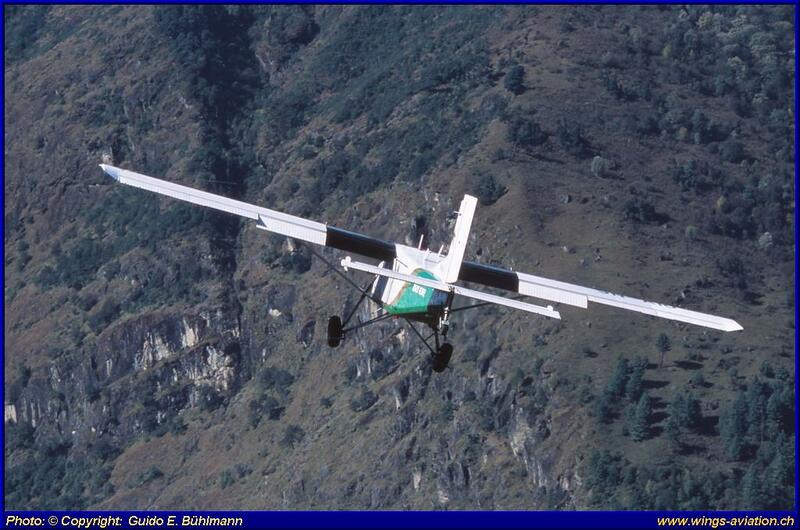 In 1964, at the request of Hillary, began the construction of a gravel track which was initially only used by Pilatus Porter PC-6’s. 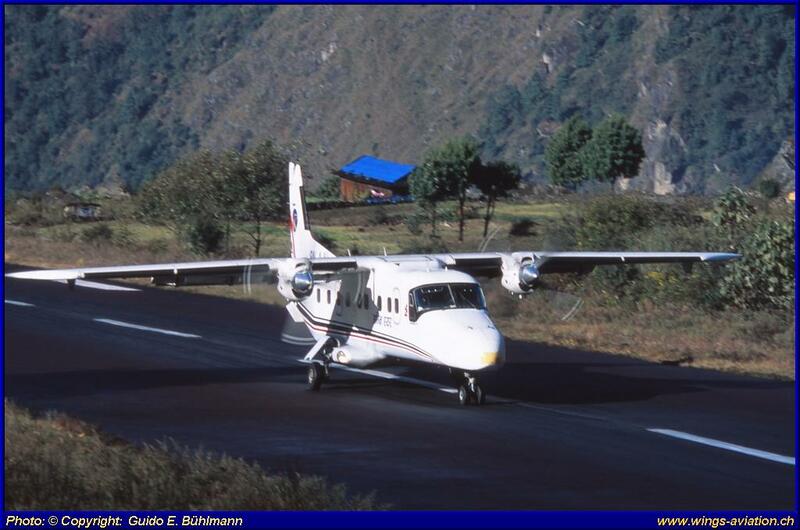 Today there will take-off and land, on this 500 m. runway which was paved in 2001, aircrafts such as the De Havilland DHC-6 Twin Otter, Dornier Do-228, Pilatus PC-6 Turbo Porter, as well as helicopters of various types. 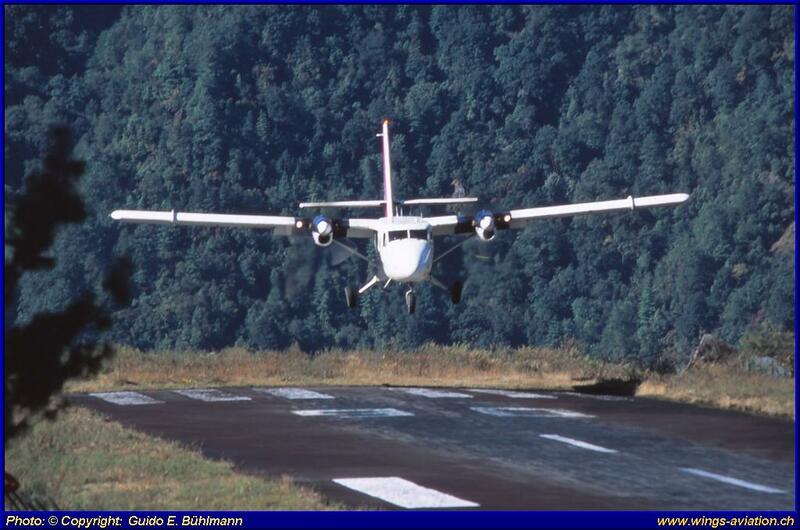 If someone has fear of flying and do not want to fly, he can reach the nearest bus stop in six to seven days' march! 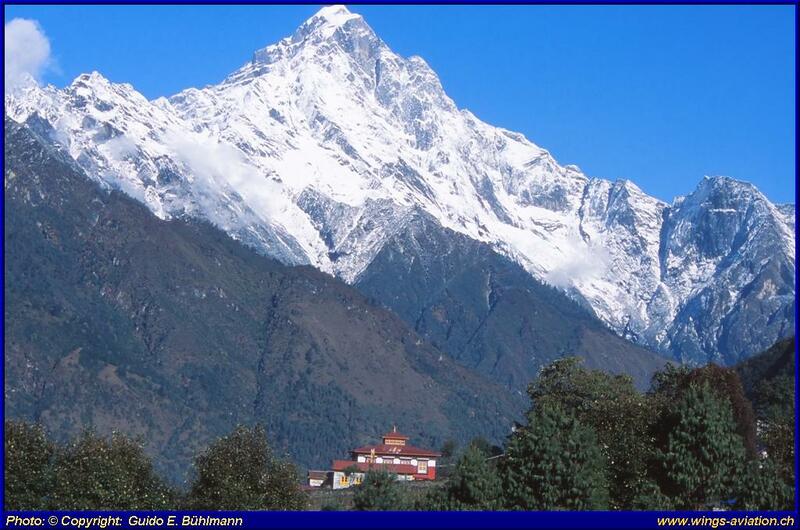 Happy Hiking is a must! 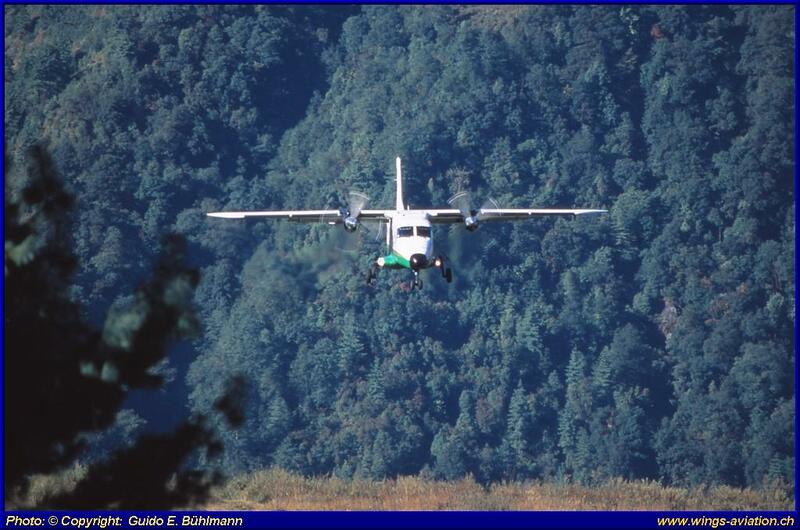 After an extended period of bad weather, which kept us 7 days to inactivity, the weather appear to getting better, and finally, the flight-operations could be resumed. 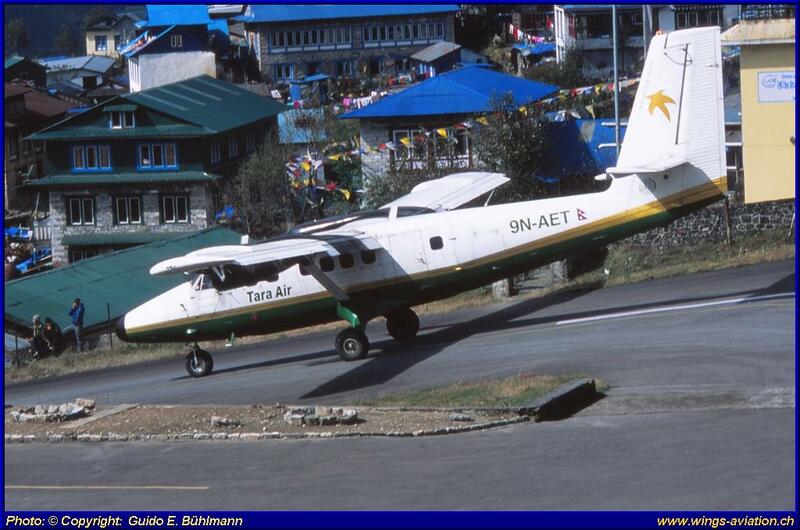 During this time around 2’500 stranded climbers are "jammed" in waiting on their departure (flight) to Kathmandu; like my companion and me! 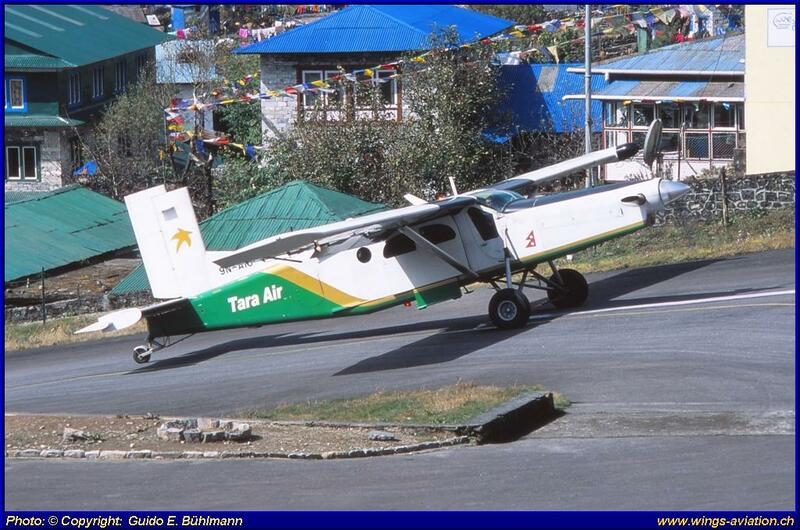 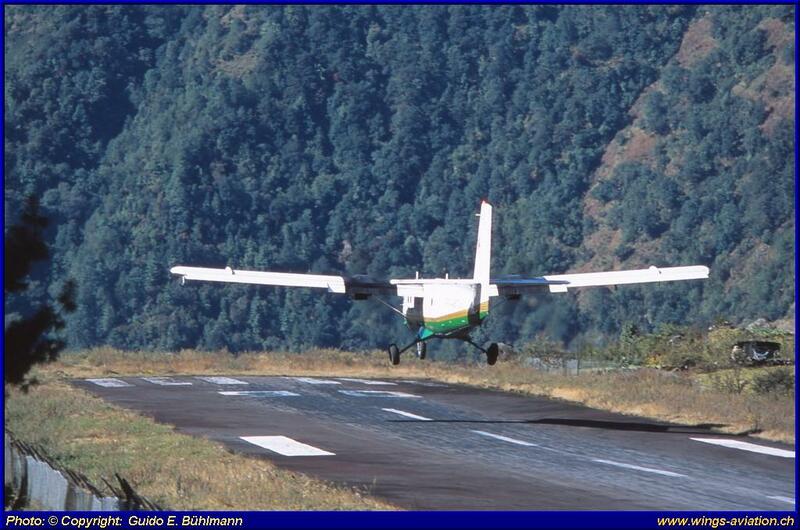 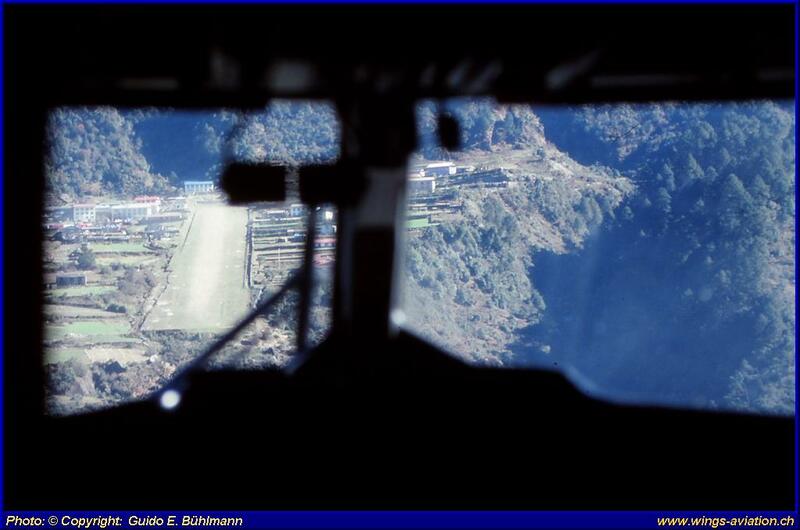 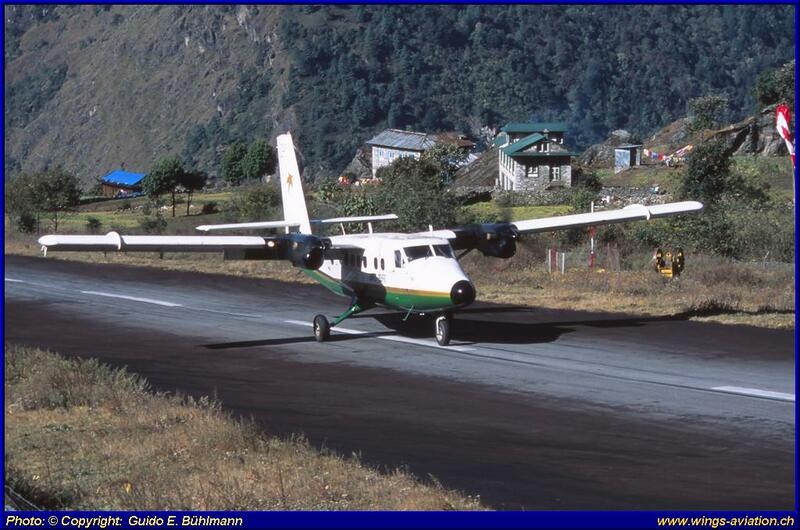 On the first flight day there were more than 50 landings on the small Mountain-airstrip at Lukla. 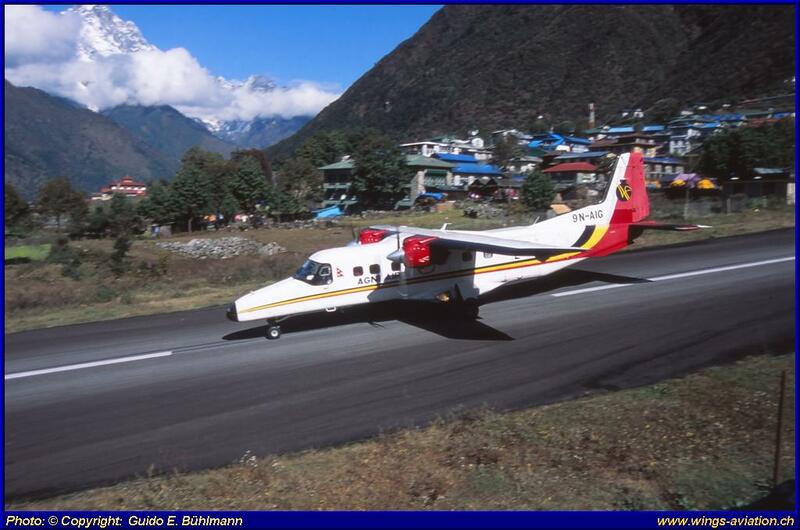 If you want to take stunning pictures of take-offs and landings, coupled with a fantastic backdrop of the Himalayan mountain range, then you will find it in Lukla! 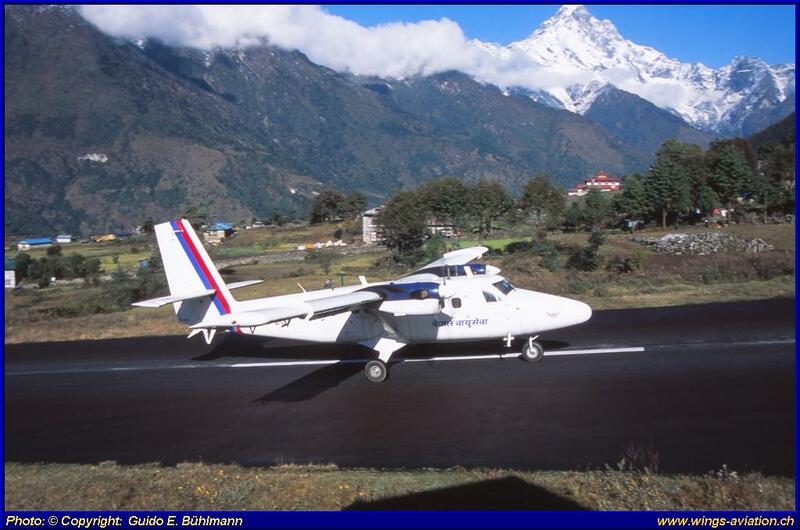 However, you should meet the following requirements: Good health, enough leisure time, open to any itinerary changes (weather) and probably most important: "No fear of flying!" 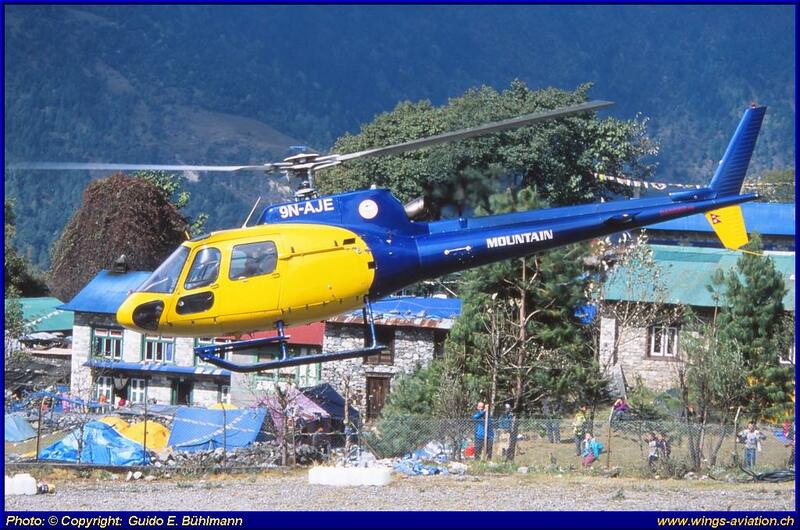 The helicopters are used for various supply and passenger flights to the higher base camps at Mount Everest. 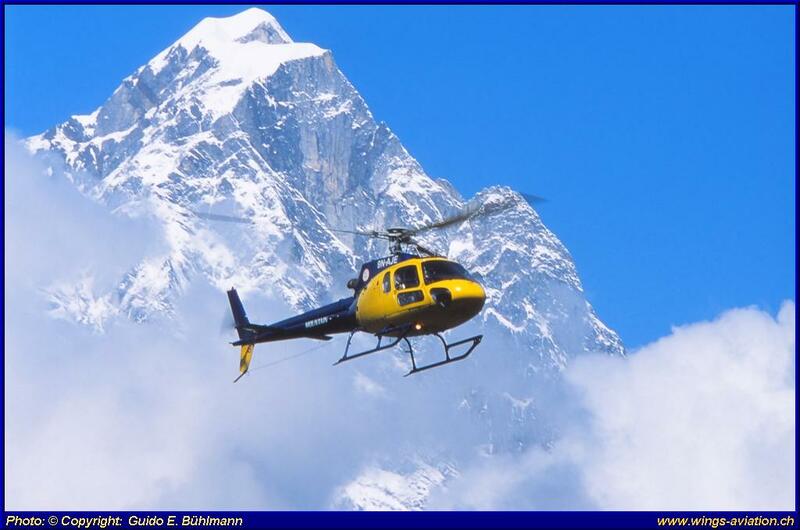 Probably the most important missions of the helicopter crews, however, are rescuing climbers from the cliffs of the mountains, often their own abilities and physical performance overestimated, or have been simply amazed by bad weather. 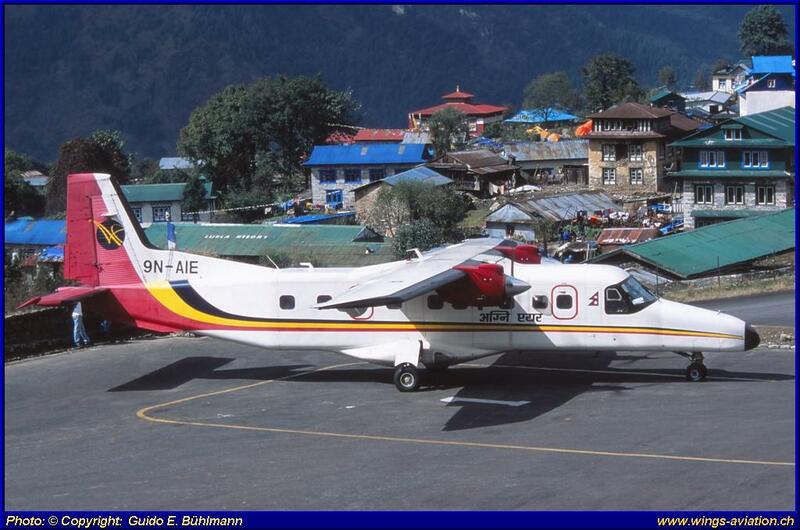 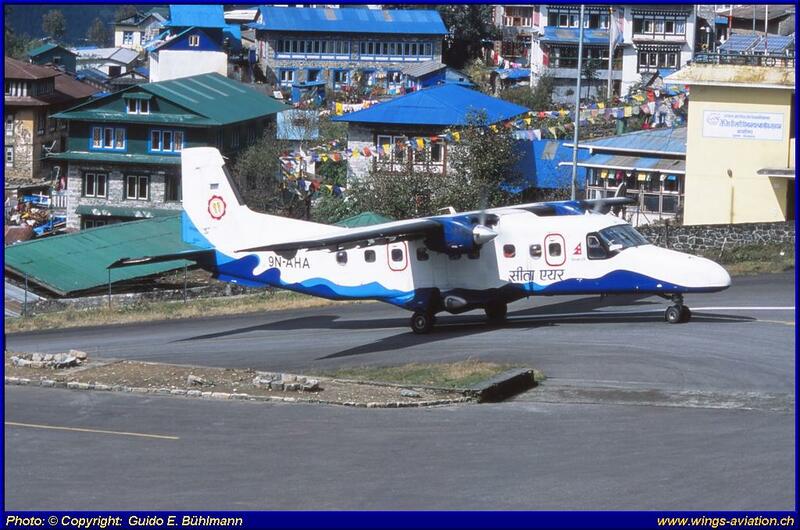 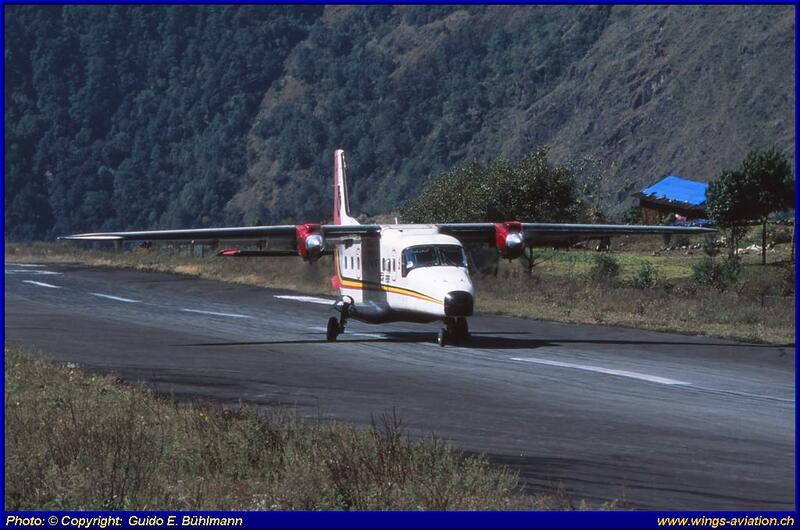 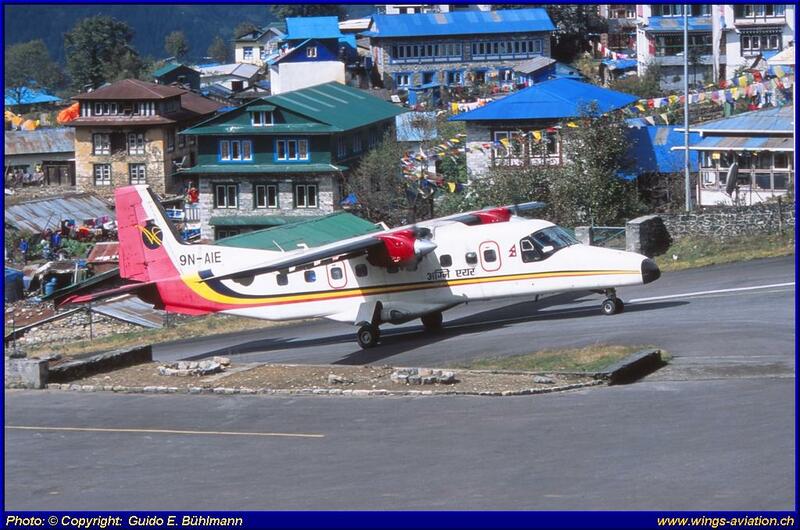 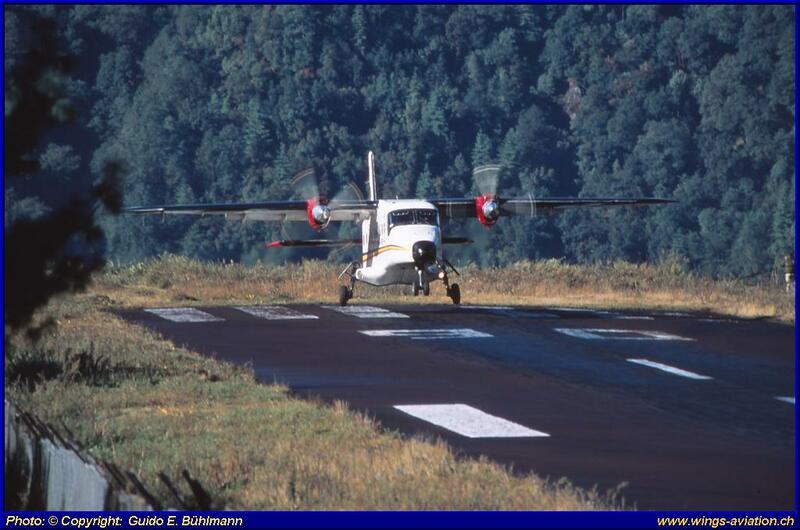 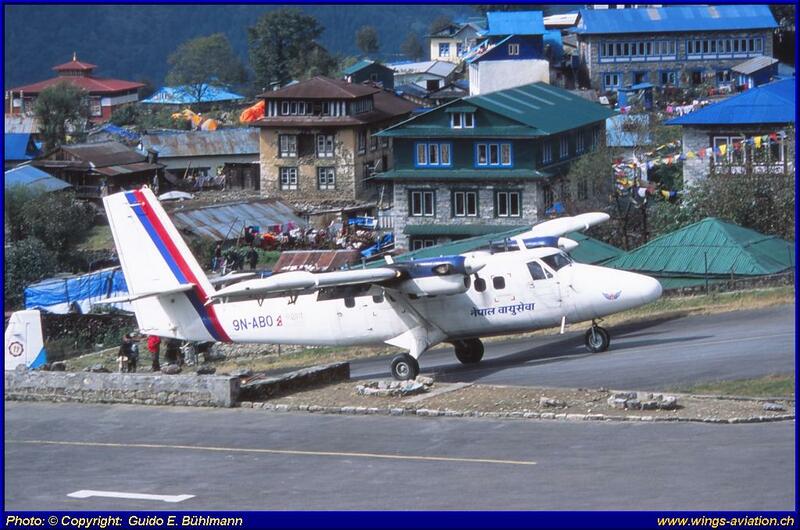 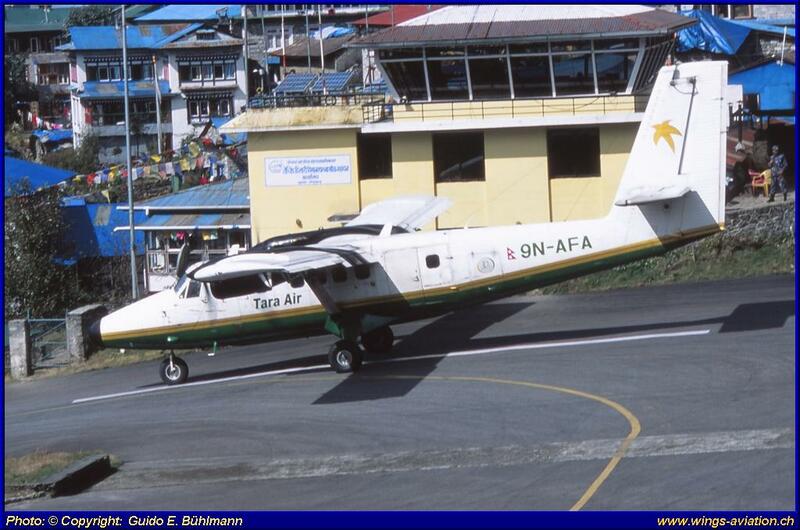 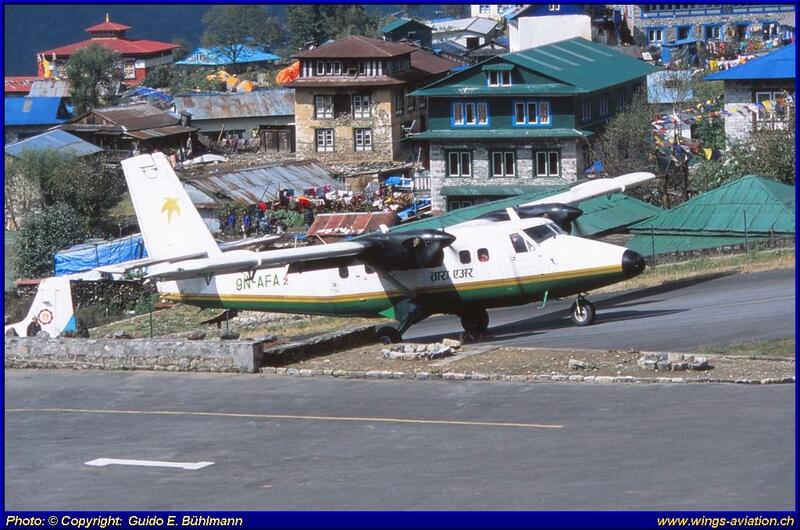 technical problems with its Dornier Do-228 (9N-AIG) and asked to the return to Jomsom Airport. 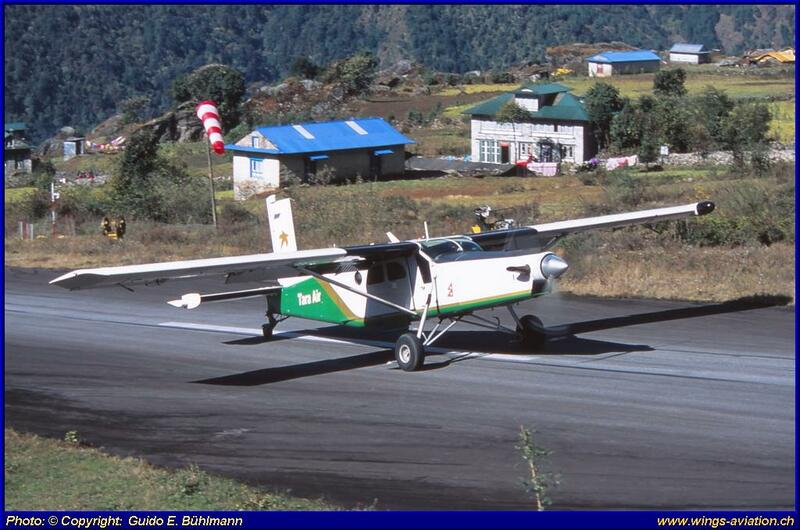 Shortly before landing, his plane crashed on a small hill near the airport, this according to statements from the authorities. 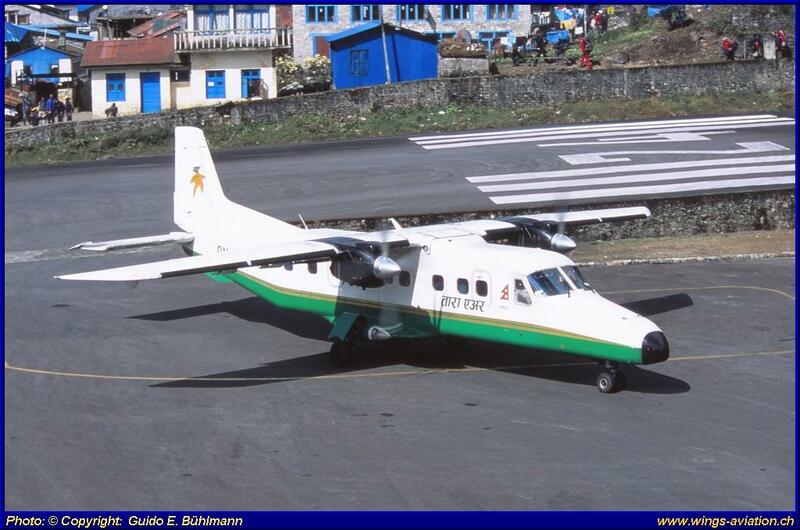 Of the 21 passengers/crew, 15 persons lost their lives. 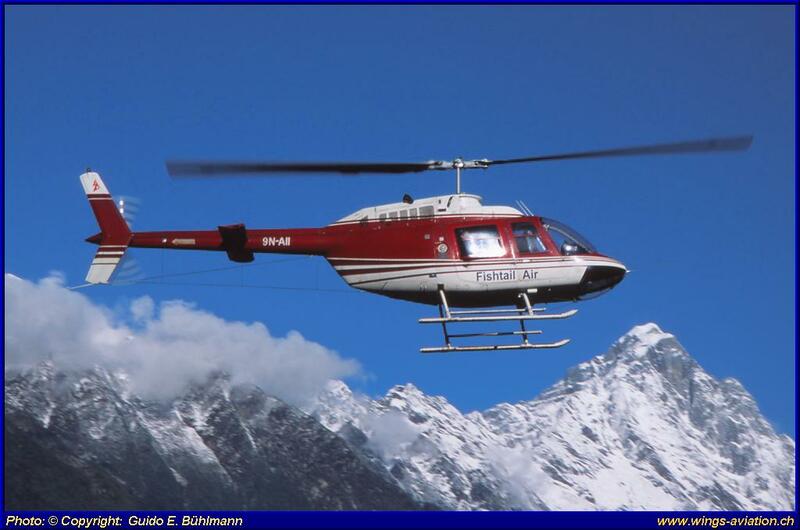 In the early morning of 07th November 2010, two crew members of the Fishtail Air company flew in there Aerospatiale Ecureuil AS350B3 (9N-AIX) on a rescue mission to Mount Ama Dablam at 6'812 meters. 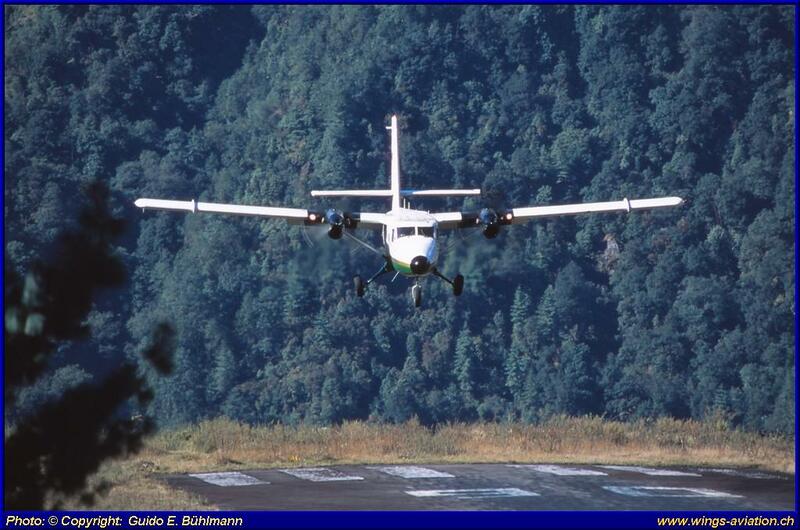 There were waiting a Japanese and a German climber to be rescue of their threatening situation. 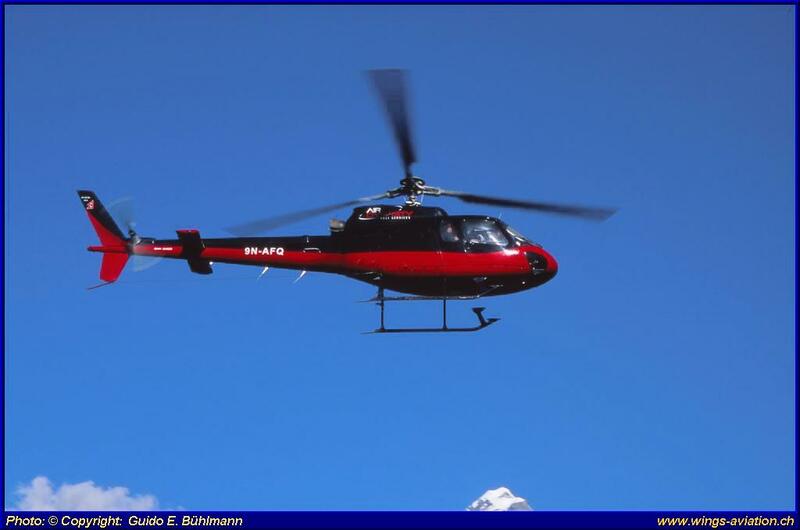 During the very delicate and demanding rescue maneuvers the rotor blades hit a nearby wall of ice and snow. 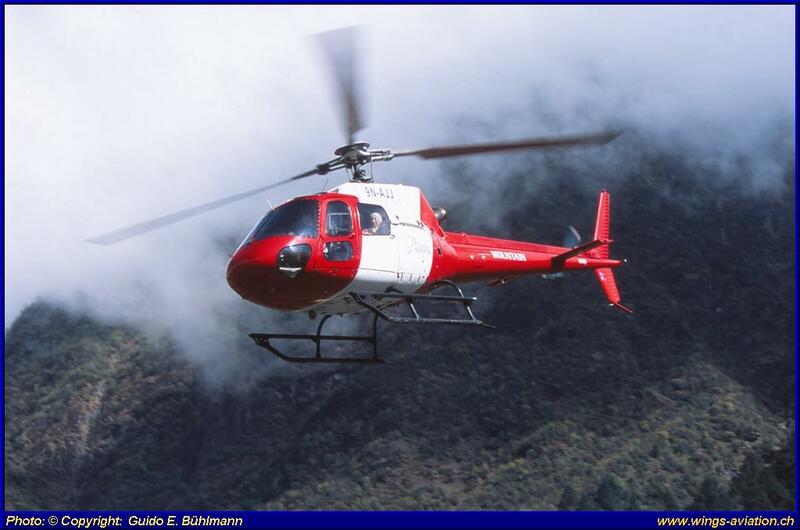 The helicopter came into an unstable flight position and crashed several hundred meters in depth. 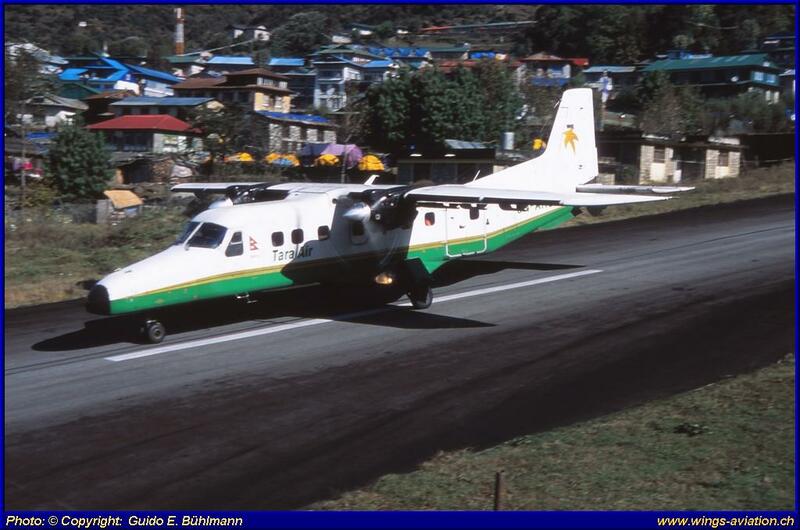 Late Captain. 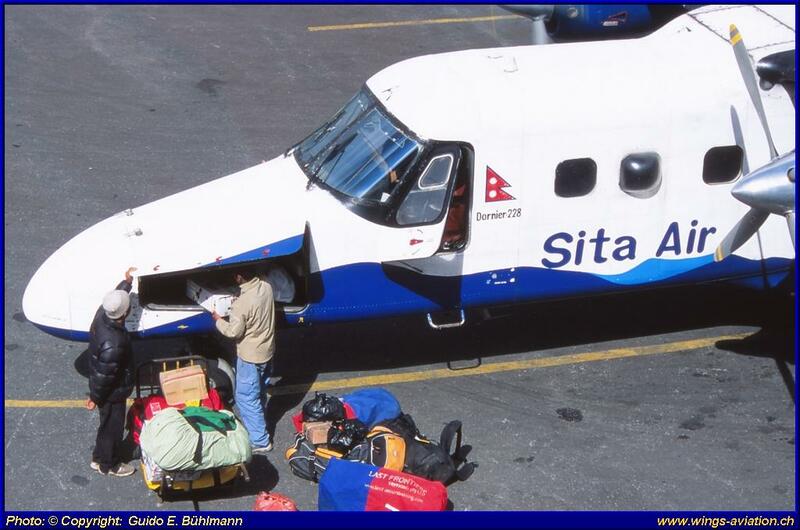 Sabin Basnyat and late Sr. Tech. 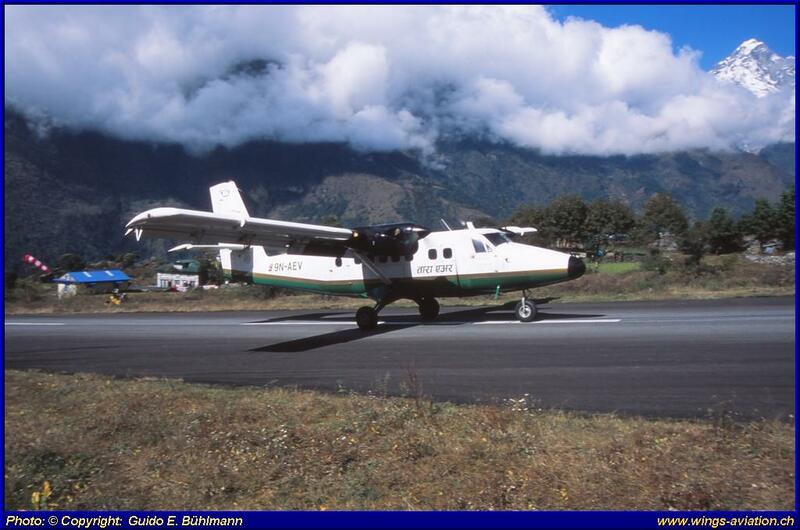 Purna Awale lost their lives. 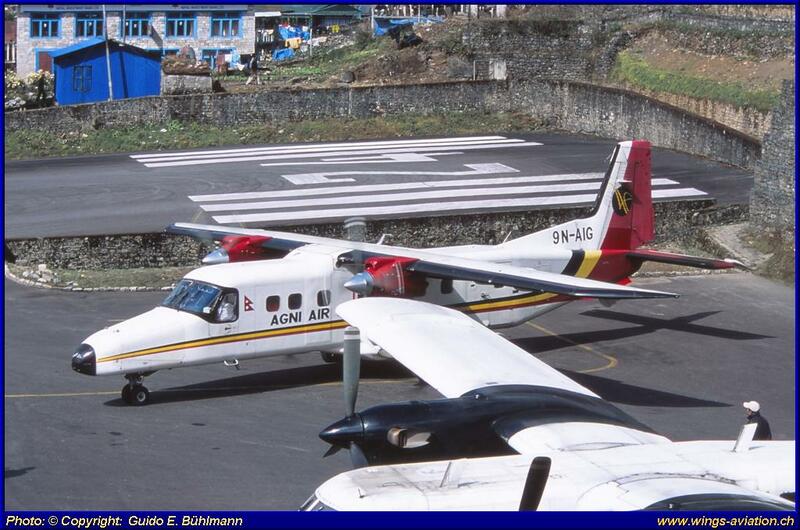 On a flight from Kathmandu to Lukla, the pilot of AGNI Air company reported a technical problem with the on board generator of his Dornier Do 228 (9N-AHE). 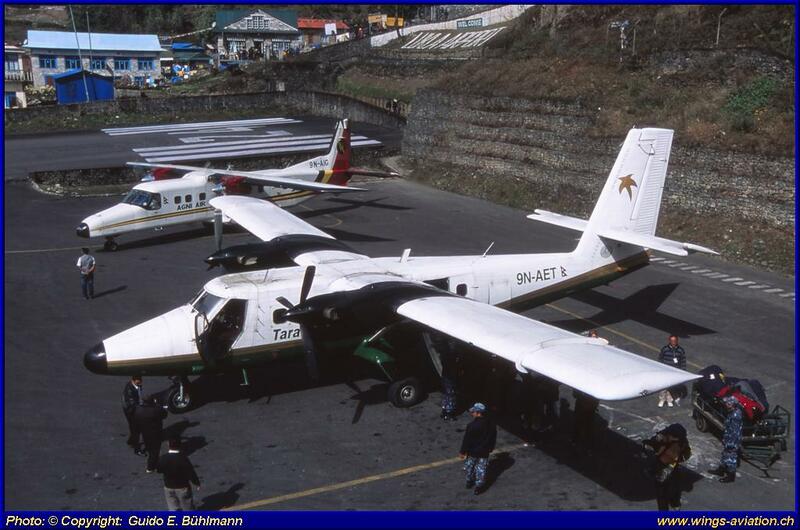 Especially since the weather got worse and even be flown by the failure of the generator, the crew decided to turn back to Kathmandu. 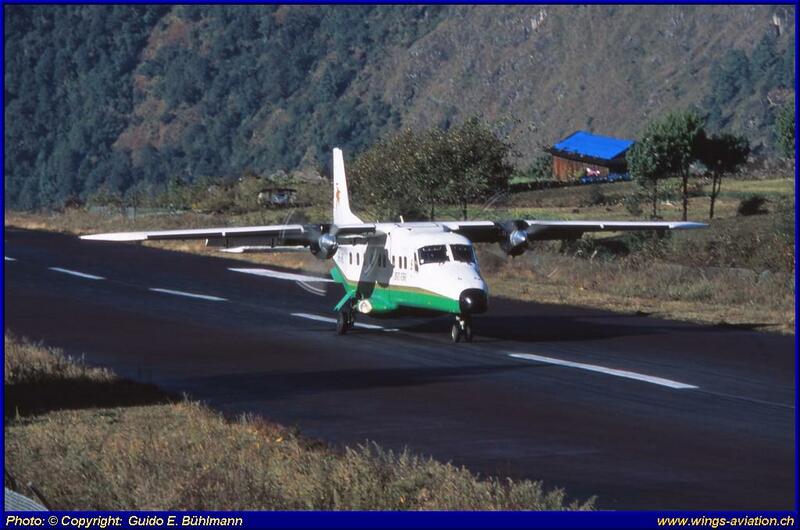 Only 18 miles southwest of the airport of Kathmandu, the aircraft crashed in a small valley. 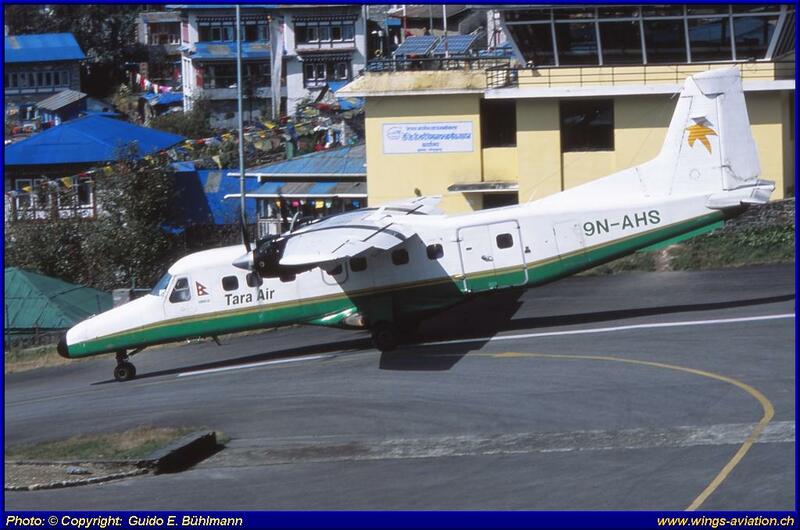 Three crew members and eleven passengers lost their lives.